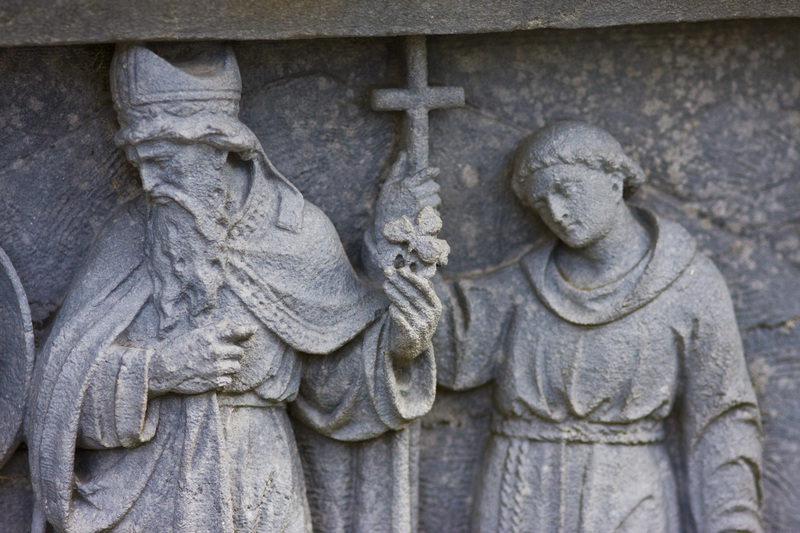 St. Patrick, the Patron Saint of Ireland, was actually born in Scotland…to Roman parents. Kidnapped and forced into slavery in pagan Ireland around 400 AD, he’d remain from his early teens until age 20. He’d escape to Britain by ship, but would return to spread the Gospel. To make his point, St. Patrick used the three-leaved shamrock as a symbol of the Christian Holy Trinity, the Father, Son and Holy Spirit. It’s believed that he converted much of Ireland over his lifetime, and even had disciples. He built Ireland’s first church in a town called Saul, and that’s where he died. While scholars debate the year, most agree he died on March 17th , or… St. Patrick’s Day. This is William Kennedy with “dear little shamrock”, a 1923 blue amberol cylinder. Want to hear the whole song? Click here…and to hear hundreds more, check out the Belfer Cylinders Digital Connection by clicking ﻿here.